Rio Brazil are proud to introduce the newest brand to the family this Autumn/Winter season, Woolrich. 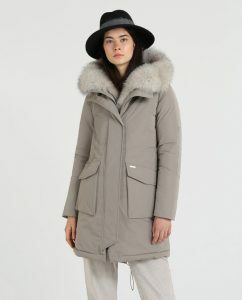 Woolrich is an American brand founded by John Rich in 1830 for the purpose of manufacturing fabric for the wives of hunters, loggers and trappers who required comfortable clothing in protective fabrics to protect them from extreme weather condition. Over the years, eight generations of his family have lived and worked in the factory in the town of the same name where Rich purchased the land in 1845. Primarily the parka was a practical and essential piece of the Inuit people to protect themselves from the freezing conditions and later it gained prominence through the US military wear of the 1950s but has become a staple in our everyday wardrobe. 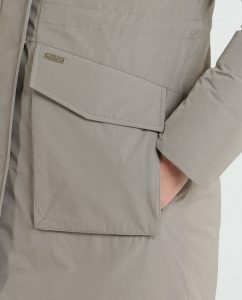 The Woolrich parka has expanded and undergone changes to keep pace with shifting fashions and due to their unrivalled quality are the go to provider of durable outdoor clothing. To keep on top of the current trends they are constantly updating their classic to incorporate new innovations while following the core values of the founder. The Military Parkas are designed to withstand freezing temperatures up to -20°C. 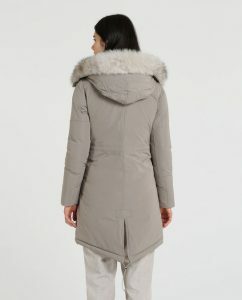 They have roomy pockets with an adjustable waist and fur along the placket and along the hood. They are insulated with 90% duck down and 10% feather fill.